A University of Plymouth student has completed his first race as part of a high-profile sailing academy founded by Sir Ben Ainslie. Sporting Excellence Scholar Will Alloway was chosen for the 12-strong team from Land Rover Ben Ainslie Racing (BAR) Academy to compete in the global Extreme Sailing Series. The first act of the series took place in Muscat, Oman from 8–11 March, and the team – which also comprises former University sporting scholar Chris Taylor – finished sixth. The Extreme Sailing Series is the original stadium racing circuit designed for spectators, and the Land Rover BAR Academy enters a team each year. Looking to find and support talented young British sailors aged 19–24 years-old, the Land Rover BAR Academy was set up by four-time Olympic gold medallist Sir Ben in 2014, with the long-term aim of bringing the America's Cup to Britain. Following their appearance in the Extreme Sailing Series, the Academy team’s immediate goal is to win the Red Bull Youth America's Cup (RBYAC) in 2017 – and Will, who studies Maritime Law, is hoping to make it happen. 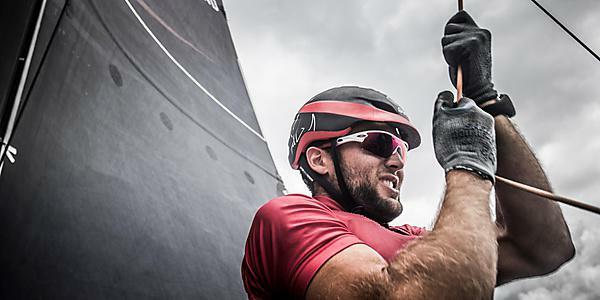 The next event in the Extreme Sailing Series runs from 28 April – 1 May in Qingdao, China. Will is also currently campaigning for a place at the Tokyo 2020 Olympics in the 49er class with Henry Lloyd Williams, looking to bring back more sailing gold for Great Britain.